We all live in houses that are incomplete, always with room for improvement or emergencies that need resolving, arising from wear and tear or from the life changes that we undergo. Often we live with these burdens due to a lack of resources and time, or a lack of ideas which means we cannot see that, with small actions or changes to our routine, our habitat could better respond to such needs. To resolve such problems, people don’t usually resort to architects. Probably nobody thinks of them as professionals willing to help, or to interpret the case history of a person or a residential community that requires on-the-spot analysis. 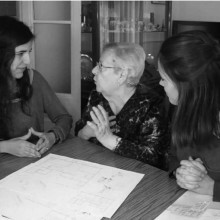 Arquitectes de Capçalera (General Practitioners in Architecture) offers the Raval neighbourhood’s neediest residents the possibility of collaboration with future architects in imagining, planning and studying the viability of such changes to their houses and residential buildings, improving both their habitat and relations between them. The idea is to accompany them in charting their needs and diagnosing possible solutions, guiding them towards the start-up of the necessary rectifications, both in terms of planning and legal management, as well as the obtaining of financial subsidies for implementing them. 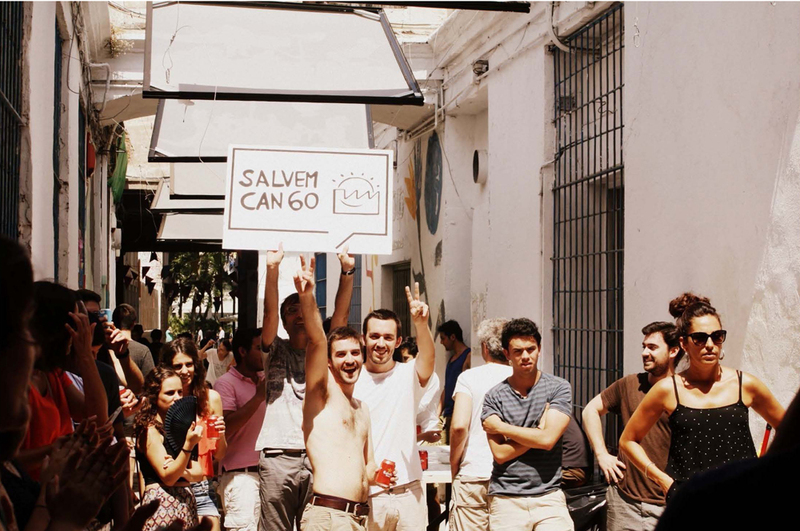 The idea is to establish close contact, in line with the main goal of reconnecting architecture with society. This is an opportunity to place emphasis on cooperation models where learning intervenes directly in actions directed towards and by citizens. 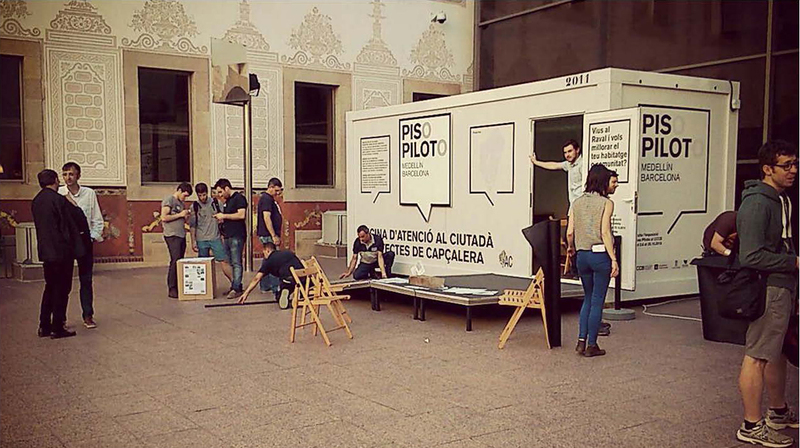 In the CCCB’s patio, during the period that the exhibition “Piso Piloto” (Show Home) was running, a Free Residents’ Advice Office opened allowing a limited series of cases to be tackled. 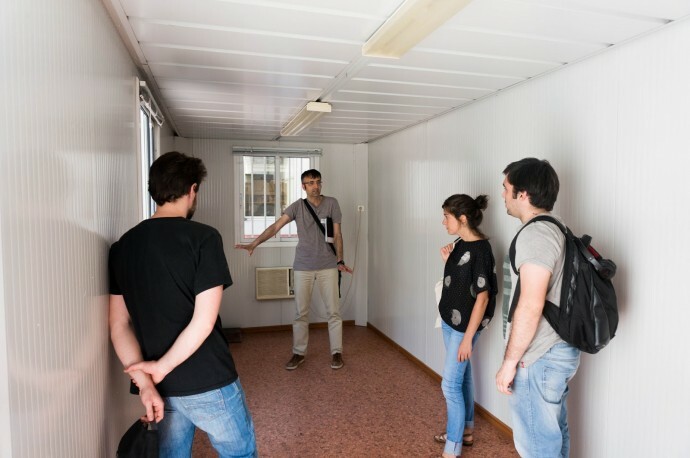 A team of students and lecturers from the Housing and City course at Barcelona’s Higher Technical School of Architecture (ETSAB) was assigned to attend queries from the residents. At university we are trained in an ABC that supposedly equips us with the instruments necessary to exercise as architects. Diverse and simultaneous study plans show the enormous difficulty in setting basic criteria aiming to make what the profession needs compatible with what is ordered by the European, national or autonomous community regulations, often governed by generalist bases that do not recognise the uniqueness of these studies that swing between the technical, the artistic and the social. Individual teaching units, even individual lecturers, have the responsibility and authority to accentuate the few levers remaining to them in order to gear studies towards wherever they believe is appropriate at a time when the dual crisis – economic and professional – is pushing us to reformulate the fundamentals of architectural training. Some teaching staff believe that the important thing is to learn techniques consisting of tools and construction elements and supposed laws of composition that allow the planning, and ultimately, the construction of buildings. Others lay stress on cultural and artistic aspects, understanding that an architect acts as a creative director who has essential technical knowledge that allows him to run and coordinate the project’s conceptual and stylistic materialisation. Still others, in contrast, include architecture in a more diffuse field where the architect (whether he builds or not) mediates in a more complex society where technical experience is at the service of a collective aspiration influenced by other agents who demand complicity from the social sciences with the aim of exhausting reality through the design project. All these simultaneous and complementary visions accentuate the nature of each study plan according to its traditions, and, of course, the labour context in which each operates. Because, let’s not forget, they should all share a common aim: offering studies that guarantee that their students achieve entry into the labour market. Today, in Barcelona and the rest of the country, this target is far from being reached. One only has to review the statistics to realise the enormous and dramatic difficulties architects face in finding work, not to mention in embarking on their own entrepreneurial adventures. Some will say that the problem is circumstantial, which means universities do not need to adapt to such ups and downs. “Everything will revert to normal”, they say, suggesting that the architect’s profile need not be substantially modified because sooner or later architects will recover their original status and society will continue needing talented (higher?) technical architects who will retake the sceptre and crown of the built environment. Others demand in-depth revision of the contents and assignments of a profession that has changed forever; whether assuming the remains of a certain technical responsibility, sharing it with other professional collectives that by simplifying and specialising their knowledge have demonstrated the same efficiency, or by demanding of themselves greater commitment to a disaffected society that is demanding bottom-up transformation, where the architect has not yet become fully incorporated as an agent in city policy, or in community management, negotiation or communication processes. The level of disorientation is considerable and every teaching unit tackles it by emphasising its own criteria. 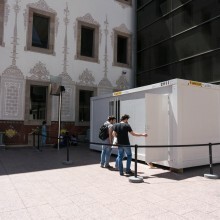 In the case of the ETSAB – undeniably the star of the glory years of a Barcelona influential in architecture and urban design matters – the changes seem to be coming in fits and starts. Left orphaned of reference figures (due to deaths, retirements and departures), today nobody exists who can push and give a unitary sense to an in-depth transformation. In fact, we do not even believe that such a unitary vision is desirable in a profession that has diversified and is increasingly distant from society, and in a school that is in decline (in terms of students, resources and influence) and is resisting the renewal of its structures. Something similar is happening in the whole of society, where the degeneration of democracy and of political parties is causing a systemic disorder. We are living through a crucial time where citizens who do not feel properly represented are demanding greater participation, transparency and a decided course towards a new model. At the university, which has many qualities of a laboratory but has never completely lost its link to the social reality, in-depth changes are also augured. 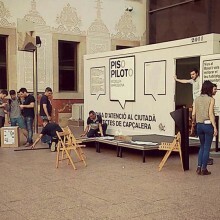 The first symptoms have been experienced in recent years with emotive assemblies where many students have demanded greater participation in the definition of the studies model, with greater contingency in a pressing reality and with perspectives complementary to that of the invariable builder architect. Hopeful students who continue believing that the university is the best bridge for strengthening the contract that the profession has with a society that, these days, sees us as distracted with a supposed beautification of our environment, under the orders of the political powers or the pressure of runaway capitalism. 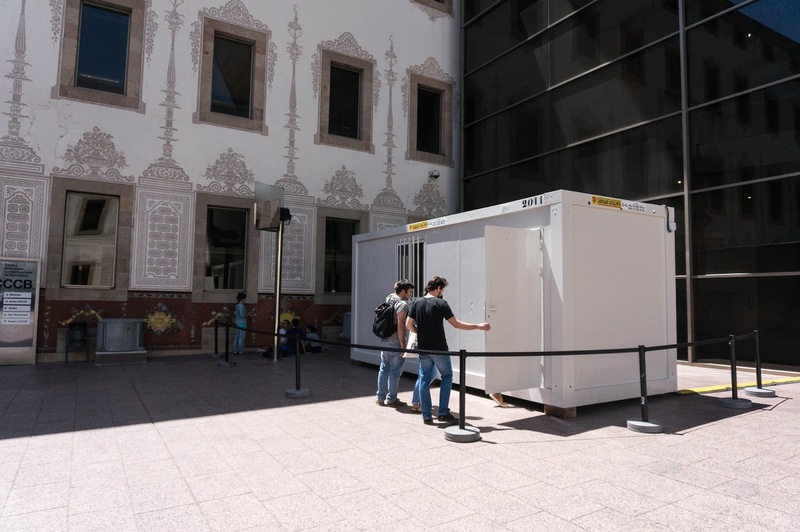 And although students are demanding changes, it is surprising that – for example – academic plans on housing are still so close to the “commission” and so distant from the emergencies that are shaking our city and by extension the world. One only has to ask associations such as Cáritas, Arrels, the PAH, Médicos Sin Fronteras, or even the military, how many architects are cooperating with them. But even more important is asking them what added or intrinsic value they believe architects can bring to the vast task of helping improve the habitats of collectives that suffer or are at risk of suffering exclusion and that, today, can not count on us. They barely need us and this is hard to accept, despite the fact that the raw materials with which they work (subjects and objects) are also concerns of ours. At the university we remain ill-prepared to show capabilities in these issues or rather, we remain unwilling to accept that these matters also form part of our capabilities. I doubt that it is simpler, but undoubtedly it is more urgent, useful, surprising, impassioned and educational than many of us teachers imagine. Reality outdoes fiction and, in my opinion, the school is living in a determined fiction and being dowsed with a reality imposed by an inherited script that few will be able to put into practice in the future. The architect that does not yet exist (at least in the academic plans) is a different architect who should be able to work without a closed script that prejudges problems and solutions, instead being someone who investigates by opening their eyes wide, converting each project into a kind of documentary where, step by step, the usefulness (and the beauty!) of the project design is described. The best examples are outside the university, in the hands of multidisciplinary collectives that day by day invent small-scale pilot proposals – real and utopian – that reveal truisms that academia does not see, does not look at, or that are at most relegated to “optional” status. 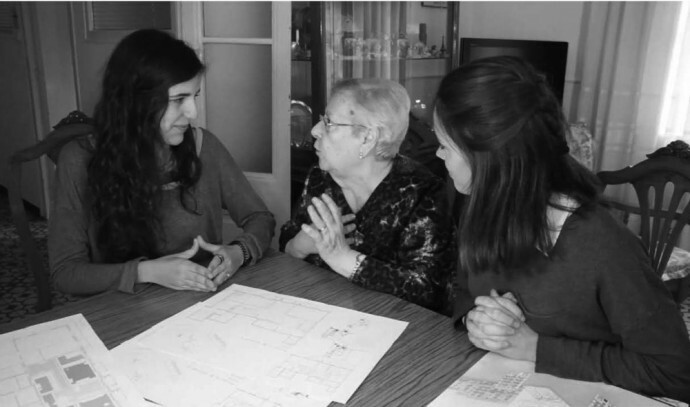 These show us the enormous potential for cooperation in the gestation and co-management of projects with people. Knowing how to ask, demand, communicate and, in short, share knowledge, making private laboratory research work compatible with a clear vocation to open up the process by going down into the ring to contaminate it with harsh reality. We do not know what will happen with the ETSAB and the ETSAV. Every day new and intriguing voices emerge that augur a progressive disappearance of one or the other, the sale of their premises to reduce the UPC’s enormous debt, cuts in the already miserly financial remuneration of their associated teaching staff, the impossibility of incorporating new staff or the refusal of resources for research projects already under way… Today, inviting somebody to give lecture is fundamentally a commitment based on personal favours that it is difficult to maintain, while publishing anything becomes an exhausting nightmare. The new management at the ETSAB is trying to tackle these evident shortfalls with fresh and promising ideas that we hope will maintain their freshness and a commitment to not justifying changes only through cuts. But I do not believe today that solutions will emerge from subtle adjustments and even less so from internal debates between professional classes who wave the flag of authorship and supposed responsibility for the “commission”. 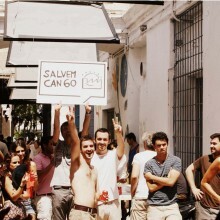 Political expert Joan Subirats in his article “Repolitizar la Arquitectura” (Repoliticising Architecture), published in El País in relation to the project “Barraca Barcelona” (Barcelona Hut) of 2003, reminded us that from the 1990s onward, architecture abandoned its social and political commitment, becoming solely concerned with stylistic issues. We have abundant evidence of this when we see how the starchitects move around the world taking advantage of the major opportunities offered by a globalised economy and a technology that allows them unprecedented audacity. Architects, like any other technical experts, should start experiencing problems with their conscience if they totally sever technical solutions from social problems or from explicit or implicit objectives in relation to what is requested. We need to introduce politics into what we do and it is imperative that universities accept the challenge of re-politicising architecture and of asking themselves what is the use of what is done, who wins and who loses out because of it, and at the service of what reality we are placing our work. 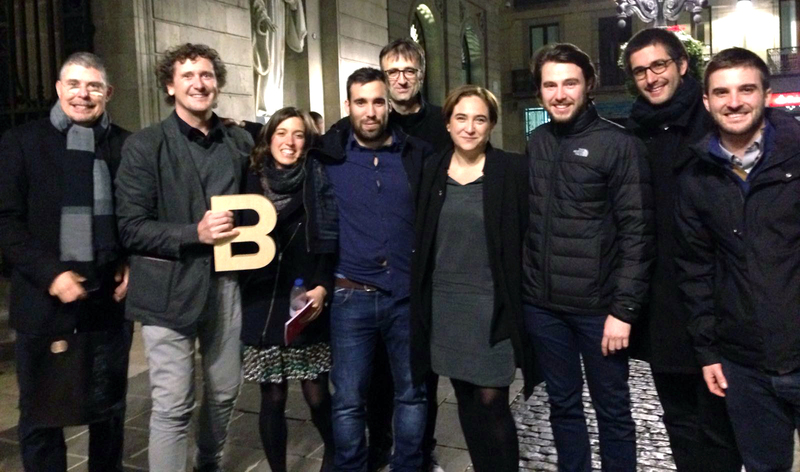 In Febrero, 2016, the project Arquitectes de Capçalera has been awarded with the Premi Ciutat de Barcelona 2015. 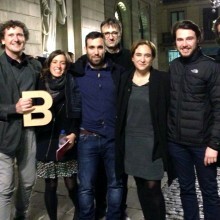 From Quaderns, we want to congratulate all the team and people involved in the project.